eurekΑthens!! 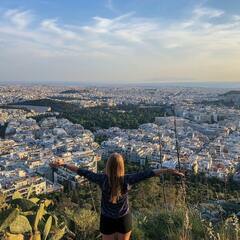 This is probably what our beloved Archimides would have shout after he had taken a walk with us in the astonishing scenery of modern Athens. We are Alex and Agathi, two vibrant Athenians who love their city with all their senses. We invite you to let your own senses free and discover the hidden beauty of Athens!